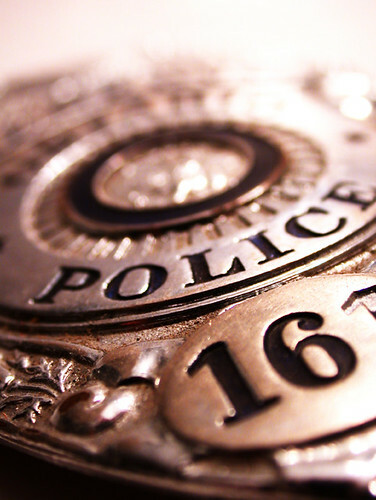 The Criminal Justice System: Maintaining Social Order or Enforcing Norms? Within every society there are institutions whose job it is to maintain social order. These may be religious institutions, they may be family or kinship structures, or they may be the system of government and law enforcement. All of these institutions exist at their core to ensure that society keeps running smoothly. They are also viewed as institutions of authority, though, with the power to enforce norms upon members of society. One such institution is, of course, the criminal justice system. In the 21st century United States, the criminal justice system is seen as holding a fair amount of power, and the popular perception of this social institution is more as an enforcer of norms than as the maintainer of social order. You would think that training as a sociologist, that the habit of looking at the world through a social lens, would incline me to frame my interactions with law enforcement in terms of social order rather than in terms of law enforcement. Now, two seconds’ critical reflection made it perfectly clear that this mail had been misdirected. And, occasional loose interpretation of speed limits aside, I am the very model of a law-abiding citizen. What does it say about the relationship of the criminal justice system to the population it is intended to keep in line that my immediate reaction is one of fear? Is it in the best interests of the criminal justice system that this is our reaction to such a summons? Are there other ways that social order could be enforced, ones that did not play on fear? Haven’t you heard the talk on the street? The word about the BIG event of 2010? It‘s big man…it‘s really really big. I received my Census survey in the mail today. What? You‘re not excited about the 2010 Census? It certainly isn’t easy to get people excited about the decennial census, but it is in fact a very significant event each 10 years in the United States. The data gathered from the U.S. Census Bureau becomes a treasure trove of information for sociologists, political scientists, economists, and anyone in the world seeking to know more about the demographics of the United States. Social scientists look first to the Census Bureau when seeking answers on issues from education to population dynamics. The Census and subsequent research reports released by the U.S. Census Bureau are arguably the single most important, consistent public research projects conducted in the world. It’s estimated that the 2010 U.S. Census will cost $15 billiion. Why is the U.CS. ensus so important? The United States government is required by law to conduct a periodic census. It is written into the U.S. Constitution, with the first census administered in 1790. Many see the census as fundamental to the democracy of the United States. The data that is collected is private, but aggregations are used to assist the formation of public policy and the allocation of resources. The aggregate data can be found on the U.S. Census Bureau’s website. Take a quick look and listen to Sociologist Dr. Robert Groves, Director of the U.S. Census Bureau. 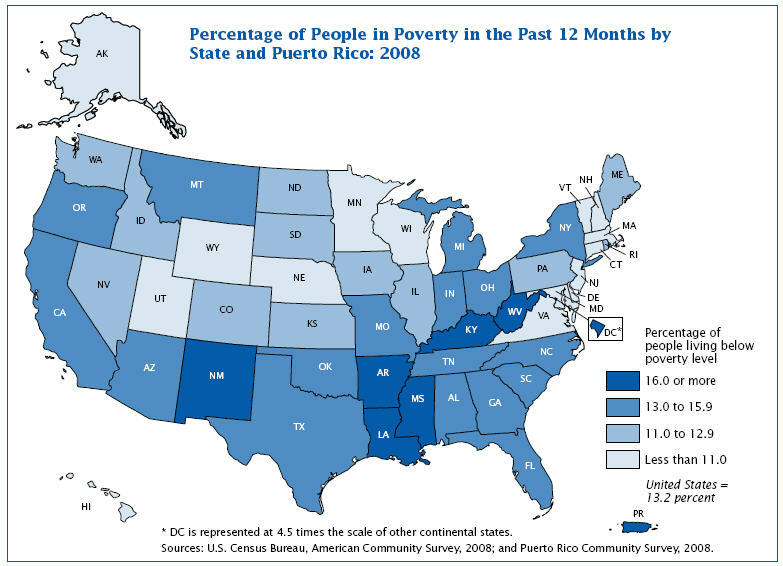 You can also visit the 2010 U.S. Census Bureau website for more information about the decennial census. One of the themes that I deal with extensively in my introductory sociology courses is power. Who has it, who doesn’t? I struggle with identifying myself as a conflict theorist, but there is one area in which I definitely do come down on the side of conflict theory, and that is in the area of crime and deviance. 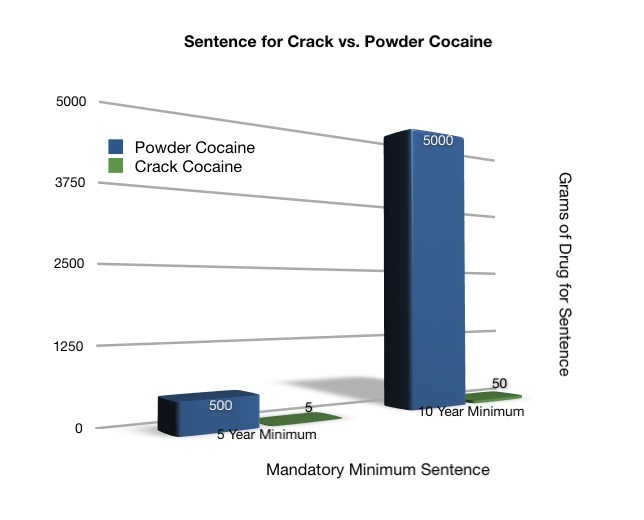 The issue that brings this power dynamic the most to the fore is the differential sentencing for crack cocaine and powder cocaine. Under current law, the penalties for possession of crack cocaine are 100 times more severe than the penalties for possession of powder cocaine. Why is this? To understand this difference, we have to look at the social context of each of these drugs. During the 1980s both drugs were very popular; what differed was who used the drugs! Cocaine was the drug of celebrities like Robin Williams and John Belushi as well as of young and powerful yuppies. Crack, on the other hand, cost much less and its use was prevalent in the inner cities. Cocaine use got relatively little press, while inner city crack use fomented a moral panic about the “crack epidemic“. In short, powder cocaine was the drug of those who had power and crack was the drug of those who did not. Race of course played a role as well: cocaine was the drug of the rich White elite; crack was the drug of poor Blacks in the inner city. And so there arose a culture of fear around crack cocaine, with the associated legal sanctions. This appears to be changing, however. This morning, NPR reported that the U.S. Senate just passed a bill that would reduce the penalties for possession of crack cocaine to just 18 times more severe than the penalties for possession of powder cocaine. A House of Representatives committee has approved a bill that would treat crack and cocaine identically. If either of those bills becomes law, it will represent a major shift in the sentencing for drug possession. What do you think? Should crack and powder cocaine be treated identically under the eyes of the law, or should there be a difference? What factors led you to this conclusion? Socialization. That’s what you do when you go out with your friends on a Friday night, maybe drinking some beers, right? Wrong. When you go out with your friends on Friday night, with or without the benefit of adult beverages, you’re socializing, having a social life. But hold up a minute – maybe that’s not so wrong after all. Maybe by going out with your friends on Friday night you are engaging in socialization. Maybe you are being socialized by your friends and maybe your friends are socializing you. Socialization is, after all, the process or learning to live within your culture. It’s learning the norms and the values, the expectations of interactions. 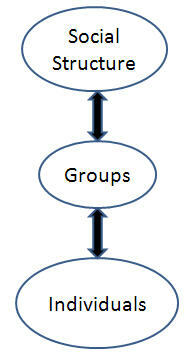 It’s learning the institutions and the organizations and how you should to relate to those larger social structures. So if you go to a new bar, or you meet new people, or you go to your first curling match, you will find yourself being socialized into that new setting. Sociologists call this process of learning new norms and values resocialization, and it’s something that happens throughout our lives. Next time you go out to socialize with your friends, ask yourself: am I having a social life, or am I engaging in socialization? Anomie is one of those concepts in the field of Sociology that can be applied in a variety of ways. Coined by French Sociologist Emile Durkheim in his 1897 study “Suicide”, anomie refers to a sense of normlessness, resulting in individual detachment and disconnection from other members of a group or society at large. Sociologists see society as an organism, much the way the human body is an organism. Society, just like the human body, is a sum of its parts. Staying with the human anatomy and physiology theme, I like to think of the above image as the “skeleton” of society. Below you’ll find the makeup of the “central nervous system”. These are the fundamental elements of culture. Keep in mind that norms are the guidelines and expectations in society. They are not right or wrong, but we as members of society determine at any given moment in time or history the makeup of norms. For example, it once was the norm for males to hold the door open for females. That is a particular folkway that seems to not carry as much importance in relationships anymore. 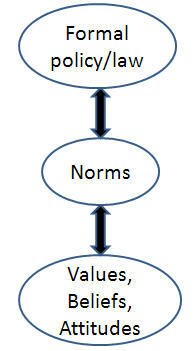 Norms, just like culture, change. The “skeleton” of society, and the “central nervous system”, remain the same. This is the stuff that theory is made of, and precisely the insight that Durkheim was seeking to provide in his study on suicide, and his coining of the term anomie. Individuals that feel connected to the prevailing cultural norms, to groups, to society as a whole, engage in conventional behavior and have more in common with others in the group or community. Some would suggest that those that feel more connected also have a more positive sense of self or self concept. When people feel detached, when they feel that they do not belong, this is anomie. What groups or individuals in society are seen as detached or disconnected? In order to understand anomie one has to understand not only how society and culture is organized, but also the subjective nature of society and culture. Therefore anomie, just like society and culture, changes. This poses a challenge to members of society; the need to change, to adapt, to fit in. Structural functionalists would say that social institutions play an important role in this regard of keeping society organized and efficient, that members of society feel included. Social conflict theorists may suggest that anomie is a byproduct of society; that varied access to resources inherently breeds anomie in society, thereby leading to constant inequality and social change. Can you think of other examples of anomie? Do you feel that you are connected to the prevailing social norms? Do you feel that most people in your community have a sense of anomie or feel like they belong in the community? How does sense of connection change over the life span? What can members of social institutions and organizations do to make sure people feel included and connected? 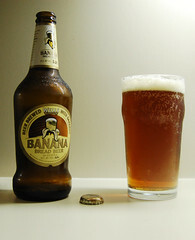 You are currently browsing the The Social Lens blog archives for March, 2010.